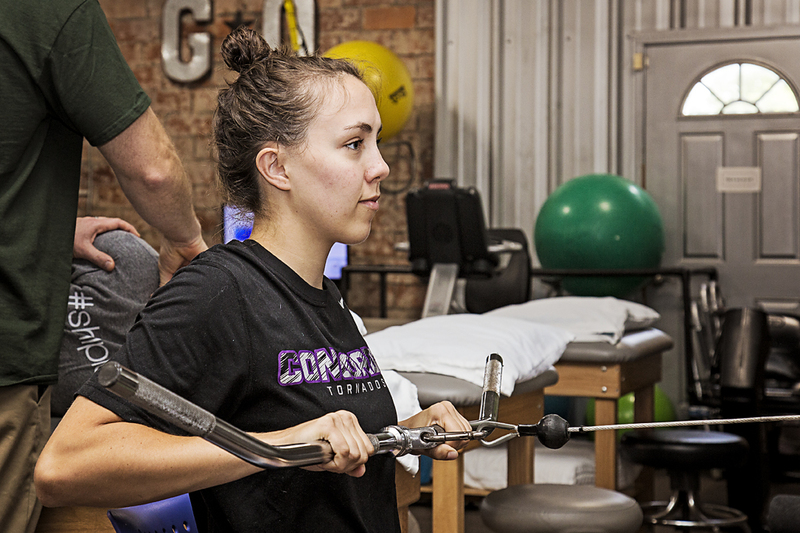 Green Oaks Physical Therapy is an outpatient orthopaedic physical therapy clinic that focuses on the treatment of muscle and joint disorders of the spine and extremities. Our highly trained staff is motivated to help you get rid of your pain and restore your quality of life. Our clinic treatment model is based on the McKenzie system of mechanical diagnosis and treatment. This system has been shown to be highly efficient, effective, and quickly gets to the root cause of your pain and limitations. See the information below to learn about our unique clinic methods. The Mckenzie Method is a system of mechanical testing and classification that provides a clear, efficient, and predictable path to addressing spine and joint pain. A movement assessment is performed to classify symptom patterns and behavior. These movement responses are used to determine the treatment process which can eliminate the need for more invasive and expensive health care procedures. For more information on the McKenzie Treatment, click the following button. Unique to the McKenzie Method is a comprehensive and logical step-by-step process to evaluate the patient's problem quickly. This mechanical examination can "classify" most patient conditions by the level of pain or limitation that results from certain movements or positions. A McKenzie assessment can eliminate the need for expensive and/or invasive procedures. Research has shown the initial McKenzie assessment procedures to be as reliable as costly diagnostic imaging (i.e., X-rays, MRIs) to determine the source of the problem and quickly identify responders and non-responders. McKenzie treatment prescribes a series of individualized exercises. The emphasis is on active patient involvement, which minimizes the number of visits to the clinic. Ultimately, most patients can successfully treat themselves when provided the necessary knowledge and tools. For patients with more difficult mechanical problems, a certified McKenzie clinician can provide advanced hands-on techniques until the patient can self-administer.